More than 60,000 books have been published on the Civil War. Most Americans, though, get their ideas about the war why it was fought, what was won, what was lost not from books but from movies, television, and other popular media. In an engaging and accessible survey, Gallagher guides listeners through the stories told in recent film and art, showing how they have both reflected and influenced the political, social, and racial currents of their times. The most influential perspective for the Civil War generation, says Gallagher, is almost entirely absent from the Civil War stories being told today. 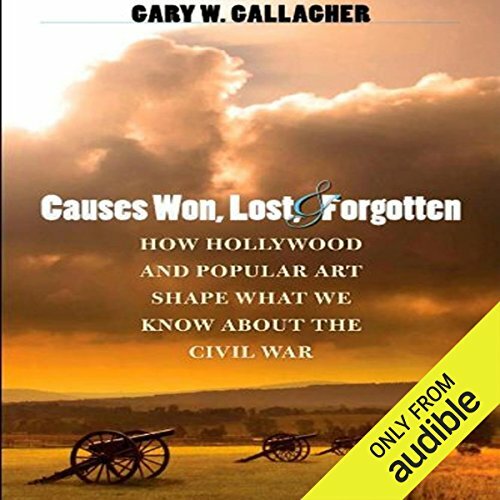 This lively investigation into what popular entertainment teaches us and what it reflects about us will prompt listeners to consider how we form opinions on current matters of debate, such as the use of the military, the freedom of dissent, and the flying of the Confederate flag. ©2008 The University of North Carolina Press (P)2014 Audible, Inc.